Providence, RHODE ISLAND: Authors Dan Gordon and Mickey Bradley launched a Web site, www.hauntedbaseball.com, for Haunted Baseball: Ghosts, Curses, Legends, and Eerie Events, a collection of “otherworldly” stories gathered from players, stadium personnel, front-office folks, umpires, and fans. The soon-to-be-published compendium will explore the sometimes amusing, sometimes spooky connection between baseball and the paranormal. From haunted hotels to clubhouse poltergeists to Hall-of-Famers who don’t know the game is over, Haunted Baseball is chock full of fun, quirky stories that will please skeptics and believers alike. 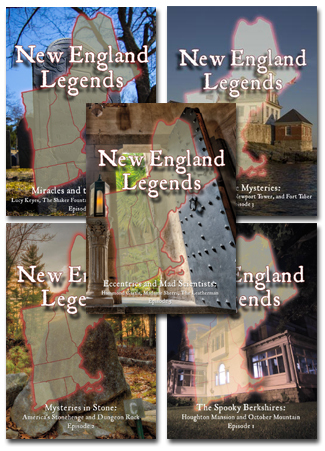 Dan Gordon is author of the regionally-popular Cape Encounters: Contemporary Cape Cod Ghost Stories, which has sold over 10,000 copies in its first year in print. He’s also a diehard Red Sox fan and has written extensively on baseball including two chapters for Baseball without Borders: The International Pastime (April 2006, University of Nebraska Press).